Selects the next occurrence of the current selection and adds multiple cursors for editing. 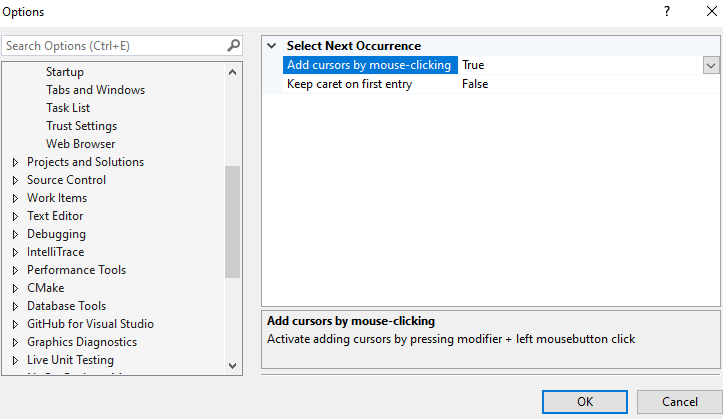 This extension makes it possible to select multiple occurrences of a selected text for simultaneous editing with multiple cursors. Provides the most common multi-editing features. Aims to replicate the multi-editing features of Sublime Text/Visual Studio Code for faster coding. 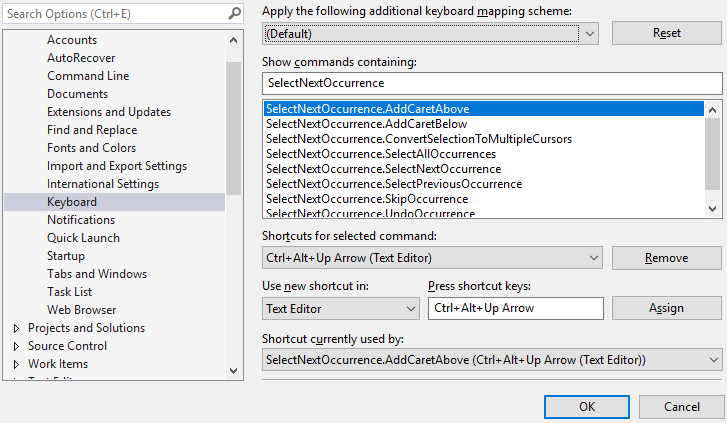 Check that the key-bindings are correct and that the Use new shortcut in is set to: Text Editor. There is a possibility that other plugins use this functionality too, and a conflict occurs. Please check for other installed plugins with this feature and try to disable. There is a conflict with the extension Copy As Html, if you have this enabled, try to disable it and see if this helps.